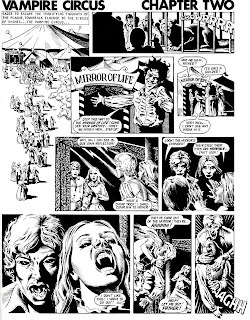 Two stories from the legendary HOUSE OF HAMMER magazine, both written by Steve Parkhouse. 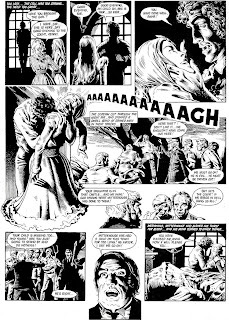 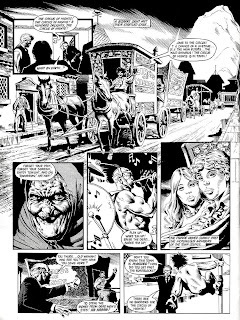 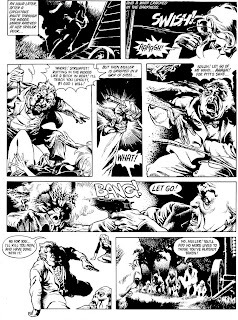 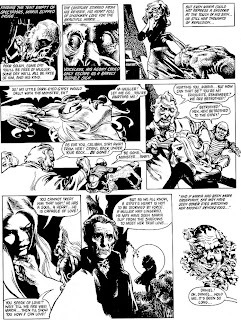 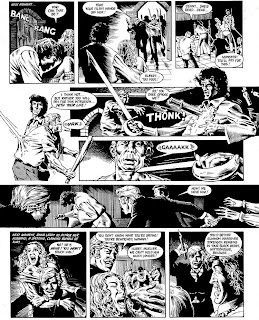 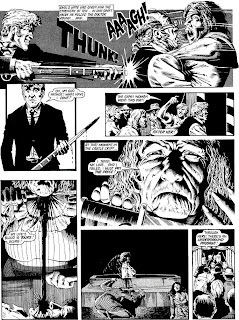 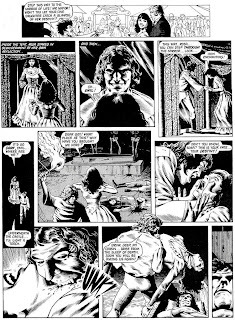 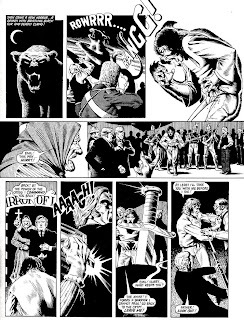 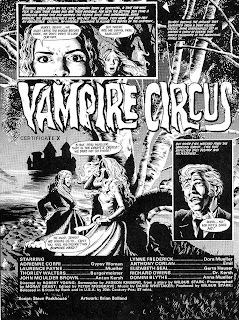 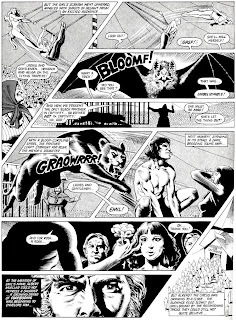 "Vampire Circus" is an adaptation of the Hammer film, drawn by Brian Bolland. 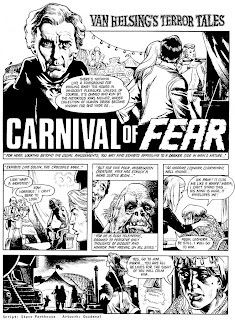 "Carnival of Fear" is a short, drawn by Goudenzi. 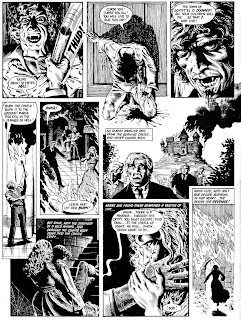 From HOUSE OF HAMMER #17, February 1978. 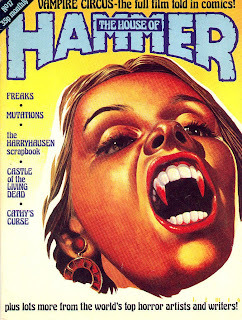 No, it's just as entertaining as any other Hammer. 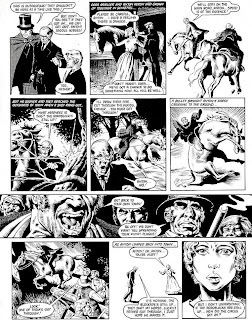 It gallops along at a great pace. 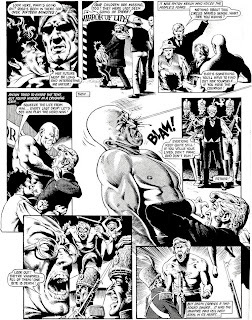 I found a big bunch of those House of Hammer magazines in a smelly old bookshop a couple of years ago, and there is some really good early art on some of these comics from guys like John Bolton. 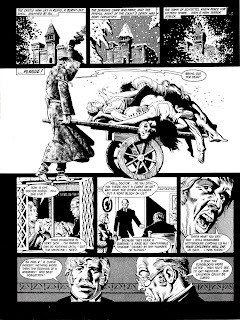 Worth digging out. 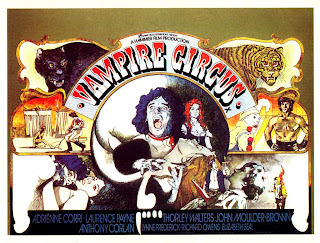 I have heard of this title, but I never had any issues of it. 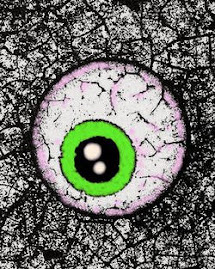 This post makes me really regret that. 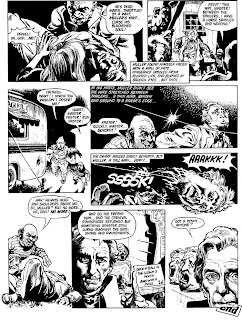 John Severin and the Talking Blob! 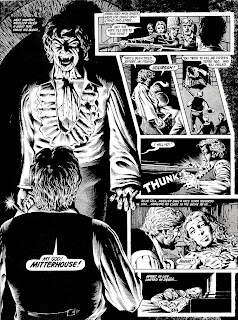 Someone has been sleeping in my bed!